Faster seating/inflation time: The Inflation Pit Stop requires 56 seconds of handling time compared to the 116 seconds required by traditional methods, resulting in faster inflation. Improved ergonomics: The average truck tire/wheel assembly weighs 220 pounds, a weight which can put industry workers at risk of strain and injury. The Inflation Pit Stop was ergonomically designed to reduce the physical strain placed on technicians. Reduced handling: With four steps, minimal physical exertion is required. The Inflation Pit Stop reduces the effort typically required to seat and inflate a tire. Automated inflation: Allowing technicians to perform other tasks while the Inflation Pit Stop automatically inflates the tire to the accurate pressure. The Inflation Pit Stop not only increases the efficiency of tire inflation operations but can also improve working conditions for tire inflation technicians and reduce their risk of physical injury. Being able to provide a safe and productive working environment makes recruiting and retaining employees easier and can help you cultivate positive, productive and loyal employees for life. 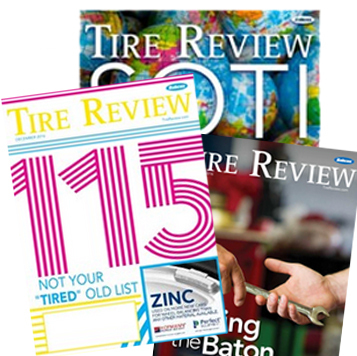 With the “Inflation Challenge,” tire inflation technicians are invited to put their methods to the test and experience the benefits of this highly innovative tool first-hand.